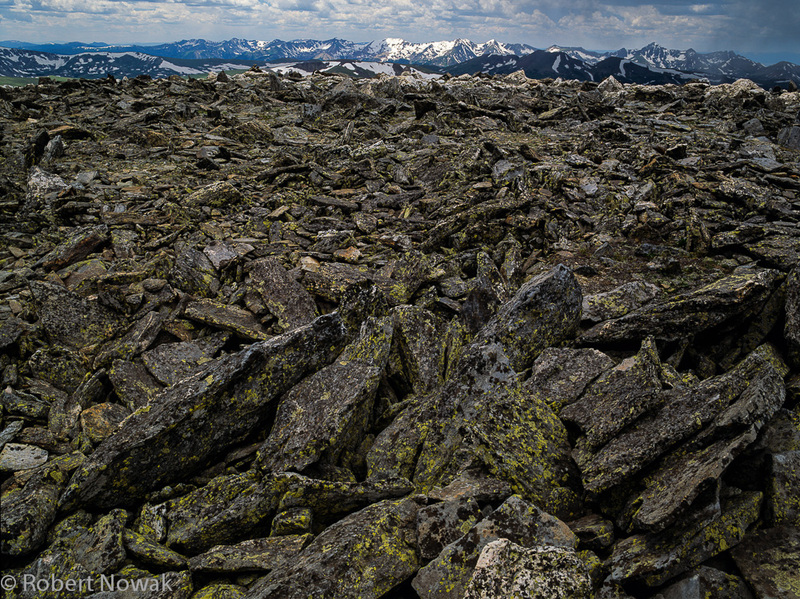 Never Summer Range and lichen covered rocks as viewed from Mt. Chapin. Photo © copyright by Robert Nowak.